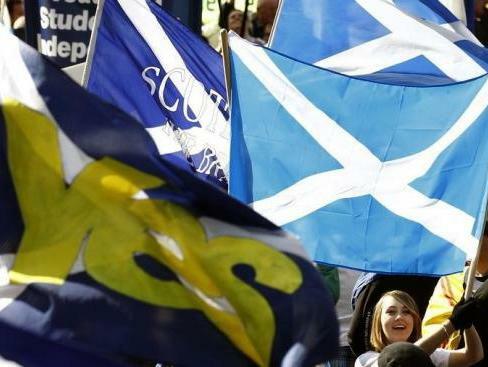 Parts of Scotland are ‘getting like Northern Ireland’ as English residents are intimidated, abused, and subjected to violence as the independence referendum comes to its final twelve days and separatist rhetoric reaches fever-pitch. A report by the Daily Mail adds further evidence to the growing body of ‘racist’ attacks, in which even Scottish-born Better Together supporters are subjected to vile abuse for daring to support political union. In a bizarre twist, the name of Vidkun Quisling, the Norwegian politician who presided over a puppet regime in the 1940’s on behalf of Nazi Germany, has re-entered the British political lexicon for the first time in decades. In a slur that is apparently now becoming commonplace north of the border, the term ‘Quisling’ casts Westminster and the English as fascist occupiers, and Scottish Unionists as traitor sycophants. In actions that have chilling historical echoes, a radicalised minority of independence activists have even taken to daubing a symbolic ‘Q’ on the doors of prominent Unionists. The Yorkshire born Porter family came to Scotland a decade ago for retirement, and have since come to think of it as home. Speaking to the press this week, they have revealed how the bullying and intimidation in their part of Stirling has driven them back south. Speaking out against the prevailing mood, Mrs. Porter told the press: “The independence debate is becoming more and more about anti-Englishness, it’s got to the point where I feel afraid to talk because I have a Yorkshire accent. In any other context, you’d call it racism”. She says she is abused by strangers in the foulest terms because of her accent, has been accused of being a ‘job thief’, and even had her house vandalised. An apparently keen Monarchist, like many others around the country Mrs. Porter bedecked her house in Union Jack bunting to celebrate the Jubilee and Royal Wedding. On both occasions, it was ripped down. Defacement of Unionist symbols such as the Union flag, or Better Together billboards is common. The Mail cites one activist who gave up a day to put up 150 ‘no’ signs up, but was forced to contact the police after 120 of them had been vandalised or destroyed by the following day. He was quoted as saying: “I reported it to the police, because it’s important they have statistics about this kind of thing, and they said that, funnily enough, no ‘Yes’ posters were being defaced”. With the poll lead for Better Together now narrowed to only six percent, and judging by current trends likely to compress even more, whichever way the referendum now goes the result is unlikely to be a truly decisive victory for either side. Even if Scotland votes to stay, the vitriol seen in the run up to the vote may leave the nation with a toxic legacy which may make remaining in the Union difficult in the long run.